Blast Works is pretty dang neat! Whats cool is, you can unlock Tukimi Fighters, rRootage, and another shmup, all made by the guy that brought us Blast Works. That combined with the awesome make-your-own-shmup idea made this game well worth the $4.99 Gamestop was asking. It is worth mentioning that Chaos Feild Expanded on the Gamecube has an arrange mode of sorts, that adds in a few popcorn enemies before each boss (since the game is essentially a boss rush). The Wii version only includes the original arcade mode. I personally think the arrange mode is fairly lacking, not much different from the arcade mode, but some people may want the difinitive version. Huge fan of BlastWorks on Wii. The game isn't really a serious shmup at all, but it's neat and very replayable since your ship never ends up looking the same in different play-throughs. The unlockable games alone are worth more than the price of admission, and that's before you even start with the main campaign or building and sharing your own assets and levels. The one disappointment I had with this game was how quickly it was poo-pooed by gamers. The price drop was precipitous, and it seems like very few people bothered to invest any time with the game. C'est la vie! 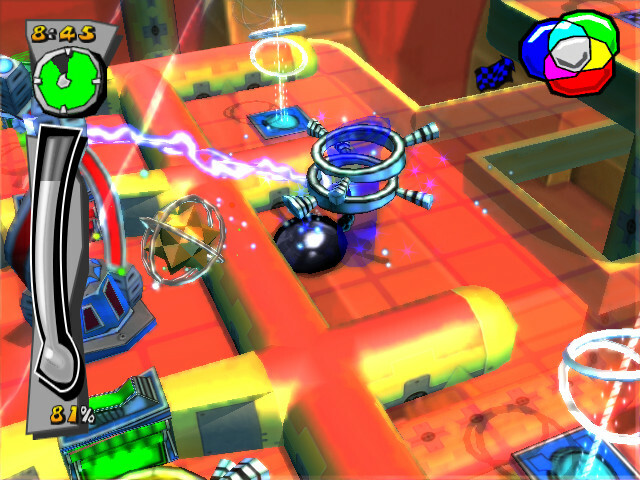 Whats odd is, if I recall correctly, Blast Works recieved fairly high praise from professional reviewers. It was the niche shmup fanbase that just didn't care for its style. Then again, this is the same fan base that can be found bashing pretty much anything. I think the game is quite unique, I can't wait to try out other people's levels, and how could you go wrong with another 4p shmup? Yeah, I remember some praise and hype from gaming websites when Blast Works came out, but it never seemed to find a market or gain any traction once released. Blast Works probably wasn't serious enough for fans of the shmup genre to get excited about, with gameplay being decidedly different than "normal" shmups. Trailers and even screenshots showing gameplay were an absolute mess of color and shapes that probably scared off any casual gamers considering the game. The creation tools were quite powerful but too complicated for some people to really get engaged with. Add in that the unlockable games (including Tumiki Fighters, the inspiration for Blast Works) could be downloaded and played for free on your PC, and a lot of people just seemed to write this game off. Oh well. There is a small group of people who did really love the game... maybe it will be viewed as a cult classic one day in the future. 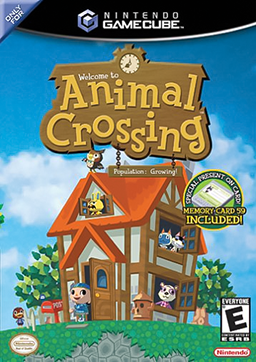 Nintendork666 wrote: My original copy of Animal Crossing (GC) is long gone, and I've been looking into buying another one used, but absolutely won't settle for a copy without the card that came packaged with it (with the card-exclusive NES titles, of course). Also which 2 games are those anyway? I'd hate to purchase a copy with a memory card, only to be bummed out when the initial features of said card aren't available to me. The Gamecube Animal Crossing Memory card has the initial Welcome Bonus Letter save file only. You can create a town without it. The NES games are all on the disc that get unlocked as you play the game. Some NES games can only be unlocked by registering at the site or with certain EReader Cards. An alternate method is use an Action Replay, great for getting all the NES games. You get the games and play them back at the house you created. Either on the Gamecube screen or as a temporary download to a Game Boy Advance. There are three save files, only the NES Data save can be copied to another memory card. Not sure if the save file would allow the unlocked NES games to work on someone else's save. I'm also not sure if the two initial NES games would unlock without the Welcome Bonus Letter save file, but an Action Replay would do it. The NES games are worth looking for and its more then just the two as you progress in the game! Nineteen Nintendo Entertainment System (NES) games are available to collect in Animal Crossing. It is packaged in North America with a memory card that automatically gives the player two games upon creating a game file. Others are acquired in various ways. In the original Dōbutsu no Mori+, Excitebike was replaced with Gomoku Narabe and Soccer by Mah-jong, but Animal Crossing and the Dōbutsu no Mori e+ re-release have these new games. In addition, Super Mario Bros. and The Legend of Zelda do exist and are fully functional in the game's code, but the only known way to play them is to obtain them through hacking. In North America, two more games were released exclusively through the use of a Nintendo e-Reader card. These were Ice Climber and Mario Bros. Europe never received e-Reader support, so they otherwise cannot be accessed without hacking. Japan never received these e-Reader cards, but these games are available normally in the game, anyway. For a short time, Nintendo of Japan offered to transfer equivalent save data from Nintendo 64 to GameCube, but this service has since been discontinued. In total it is rumoured that there are 19 NES games in total. The best use of a cheating device in my illustrious cheating career has to be my Action Replay for Nintendo GameCube. 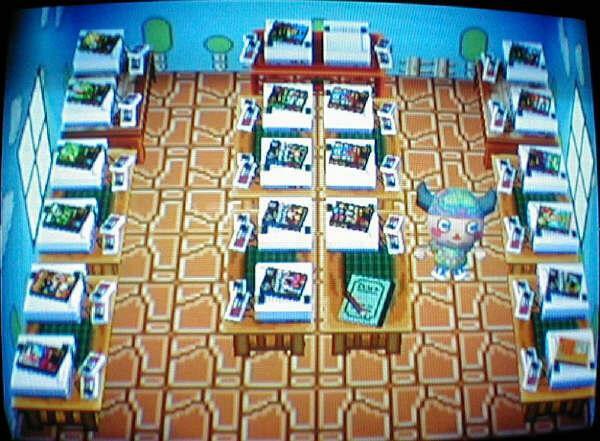 In the world of Animal Crossing, you are able to collect playable NES games. I believe that the only way to obtain some of the rarest NES games required a code generated by imputing your name and town name into promotional websites or generators. These rare games included The Legend of Zelda, Punch-Out, Super Mario Bros., and Donkey Kong 3. The codes for these games were never generated, and that’s why the use of an Action Replay was ideal. I paid for the game and the game included these NES games, so why not? My copy of Animal Crossing now serves as one of the greatest NES compilation discs of all time. It’s pretty awesome. So, as long as a used copy with the memory card contains the Welcome Bonus Letter, I should be able to still start a new town of my own, and receive the 2 bonus exclusive minigames that come with the card? That's where my initial concern roots, I'm well aware that there are more than just 2 NES games in AC total . Thanks for the help CRT. yeah I remember after discovering all the NES games in AC, I never played AC proper again haha. A Wii Arcade Stick that is very inexpensive, only $19.99 each at Gamestop! The Tatsunoko vs Capcom Fight Stick has very solid Arcade style controls. The stick plugs into a Wii Remote and is compatible to Classic Controller and Classic Controller Pro games. Made by Mad Catz, a very nice feature is included. Not only is the traditional DPad supported by the Digital stick, but either Analog Stick can also be selected. This opens the window for any Classic Controlled game that uses an Analog Stick. Real Microswitches surrounding the steel shaft and metal base of the Joystick. Note the two Glob Chips in the upper right corner, also where the DPad and Analog Stick select switches are located. This is the heart of a future mod. The Stick has a solid metal gate with a tactical click of the micro switches inside. I prefer the ball stick over bat handles controllers because of the solid hits. The convex buttons have a shallow throw for a quick rapid press. I see many posts about converting the stick to arcade parts. I really do not see a need for this, the Tansuko Stick is solid. 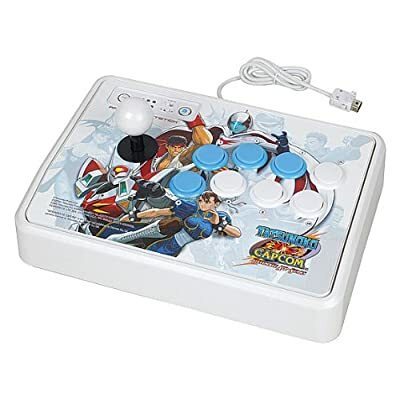 jay_red wrote: I would like to point out to anyone curious about those Wii arcade sticks we are all talking about, the buttons and stick are better quality than the SSIV version, I have both and have compared them myself. The TvC buttons and Stick are nearly identical to Sanwa Parts, all the way down to the adjustable gate to convert it to 4 way. The SSIV version looks different and feels different. The only difference I can tell between the Sanwa and the TvC buttons is the Sanwa are a hair more sensitive, resting your finger at all triggers the button. I think I will do a little comparison to illustrate the differences. The Menu buttons are protected during a frenzied bout in a game. The Home button can be locked out from an accidental press. Likewise the + and - buttons are on the top by the cord to prevent an accidental pause. Each face button can also be set to two stages of Turbo Auto Fire. There is a nice LED display that flashes an individual blue light for each button. A faster flash indicates faster Auto Fire. I pulled some games I own that have Classic Controller support, gave them a test run. 1. Super Smash Bros - As expected the Tatsunolo vs Capcom Fight stick is perfect for fighting games. An instant snap of punch, kick or a change movement direction. 2. Blastworks - Again very nice to play, the Arcade stick works great in SHMUPs. 3. Mini Copter - Two simultaneous sticks are needed, unplayable. 4. Geometry Wars - Two Sticks needed, one stick at a time can be selected in game. 5. Dragons Lair - A pleasant surprise. This is so much better then a DPad to time the movement. It is just the right control faithful to the Arcade in this "Interactive Cartoon". Though the game itself has limited movement, the timing has to be precise. CRTGAMER wrote: The Tatsunko Capcom Stick supports both the Classic Controller and Classic Controller Pro, each having a different button layout. This adds versatility in changing button positions of a game. If you cannot customize a particular button, try choosing the other Classic Controller option in a Game Menu. Any Classic controlled game that needs Two Analog sticks can be a problem. The Arcade Controller only has one stick, so only one DPad or Analog stick can be selected. Luckily the selection can be chosen during a game so two stick games are playable but cumbersome. The slide switch is small, not really an ideal button to continually switch during a game. The game that really calls for a Digital Stick is Geometry Wars. A shame there is not an option in the game to allow use of the Arcade buttons for firing the shots. The Arcade Stick is limited to only Classic Controller games. Unfortunately the Gamecube Controller is not an option either. Even more disheartening is the Arcade Stick missed a golden opportunity to support the "NES Digital Pad" of the Wii Remote turned sideways. This would have been the perfect controller for so many games that use the Classic NES layout. Games that come to mind include Metroid M and the Bit Runner Series, There are other games that also use a Remote spun sideways NES DPad layout. I recently bought a second Tatsunoko Arcade stick, could not pass up on the price. This gives me flexibility of different Mod options to expand the Arcade stick to more then just a limited amount of Classic Controller games. Maybe answer some of the Bad and Ugly issues above. 1. Jump the wires together so the DPad and both Analog sticks are all selected. This allows Geometry Wars to both move and fire off one stick. The trade off is moving in the direction of the enemy while firing. 2. Add a "Quick Select" press button or use one of the existing buttons. The idea is a quick alternate method to switch the Arcade stick between the two Analog stick selects. A move stop and shoot option. 3. Add a second stick. I really do not need this, I already own a Blaze Twin Shock that has been modded to handle dual stick games such as Geometry Wars. 4. Gut a Wii Remote and wire in the Tatsunoko Arcade Stick to operate as the Remote DPad turned sideways. Imagine all the "NES Style" games now played with an Arcade Stick and Arcade buttons! In addition, keep the Remote functional and hardwired to the Arcade Stick, handy such as Metroid M First Person View. 5. Gut another system controller, solder in the Tatsunoko Arcade Stick to the gutted controller PCB traces. The Playstation is the most versatile, adapters are available to use in other consoles and computers. The Tatsunoko vs Capcom Fight Stick has the same sized buttons and ball sticks as the Blaze Twin Shock. Both work equally well in response. The modded Blaze is great for Dual Stick games, the Tatsunko offers a more compact box for the lap. I flipped the Select PCB over, a couple of Slide Switches inside. This can easily be converted to a push button mod select feature. The DPad does not work when an Analog stick is selected. I connected a couple of the solder pads with a temporary jumper wire, reverse of Control Select since the PCB is upside down. 1. Analog Left Select - Short DPAD Center to Right Trace. 2. DPad Select - No connection to either Analog Stick. 3. Analog Right Select - Short DPad Center to Left Trace. As a precaution, I used an older Remote that does not have Motion Plus. A nice thing about testing with wireless is the worse that can happen is frying the stick and remote. The console is not harmed. A simple jumper will not work to keep both Analog sticks active. When both Analog sticks are selected with a simple jumper Wire, only the left Analog Stick works. Adding a momentary contact Push Button can be made to work for Dual stick games. Even Classic Control FPS games can be played with an Arcade stick. Maybe not as precise for an aiming shot, but the look mode maintains any angle until the stick is bumped. Movement is a breeze with the tactical feel of the micro switches. I wanted to test the Dual stick games so I tried playing while switching the tiny slide switch on the fly, imagining an Arcade button would be used. Since there is only one stick, only one mode can be used at a time. This limits but also adds a new dimension in gameplay. This is noteworthy in Geometry Wars, a quick decision of shoot or run aspect, mashing the extra button to get out of a line of fire. The same rings true for FPS game, the hinderance adds a different strategy to hit a target or run behind a corner for cover. 1. Geometry Wars - Fire Default or Hold Button for Movement. 2. Conduit 2 - Look Mode Default or Hold Button for Movement. 3. Golden Eye 007 - Either Look or Movement can be selected. Golden Eye 007 has a lot more flexibility. In addition to a Gamcube Controller option, either stick can be set to look, strafe and movement. It goes as far as vertical and horizontal selections, strafe and look up down can be on one stick for example. FPS is still best played with the instant aim of the Remote and Nunchuck movement, followed by Analog sticks. The Arcade Stick offers a new way to play a game and is worth a go. Adding an extra Arcade button instead of sliding the tiny Select Switch can easily work and make the quick select so much better. A simple matter of popping an extra hole and jumping the two contact points. The button can be placed out of the way to the left of the stick, used only when needed. Even if I gut one of the Tatsunoko Sticks for a Wii Remote mod, the other stick can gain with the simple add on button. Taken a step further I could add second Arcade Push Button for DPad control on the fly. Right Click the Pics for a closer larger view. A continuation of my Reply above. There are some games that require two sticks to play. This Arcade Stick supports either the Analog stick or the DPad, but only one at a time. The Slide switch can be used to select during a game but way too small. I wanted an easy method to quickly toggle between the two Analog sticks during a game. I could have added an additional Push Button at the top, but why not use one of the existing buttons? I first tested which solder pad to jump across to enable each stick. The simplest method is to leave the Select Switch to the Right Analog Stick and the close the contacts for the Left Analog Stick. My hope was that both would remain hot. It turns out the Right Analog Stick overrides the Left Analog Stick. Look closely at the row of solder pads. Three positions with four solder Pads. The outer other two are for the switch mount. Be careful not to connect there, it is the ground. Use the Yellow Test Clips for a reference. Instead of permanently disabling one of the existing buttons from other Classic Control games, I decided to throw in a Toggle Switch. It has a two position, both On and two sets of Poles. An easy way of direct the switch to either as a Joystick Select or its original Fire Button Position. First locate and drill a hole for the the Toggle Switch. I wanted it out of the way so placed the switch near the + and - Buttons at the top. Since it is a Toggle Switch instead of a Push Button, I don't even have to see it, just feel to know what is selected. Place the toggle switch in the hole, but don't install the nut yet. The wires are easier to solder with the switch out in the open, placed to get the wire length sized up. All the buttons have connectors on the wires so I pulled the blue wires off the ZR Push Button. Cut the ends, leaving enough to add a spliced wire. Attach all the precut wires to the Toggle Switch, bending each loop hooked into its terminal. If the wires will not stay you can also solder one at a time, have care of not dripping any solder on an adjacent terminal. Install the switch after all the wires are connected, paying attention which way you want the toggle to flip. Keep in mind the Toggle flips opposite of the contacts in the switch box. Lay out the wire to be soldered. CRTGAMER wrote: Before soldering a wire splice, be sure to have a precut length of Heat Shrink slipped on the wire. Electrical Tape can be used instead, but Heat Shrink is faster and leaves a cleaner seal. I find it easier to tin each wire first with a little solder and then melt the two ends together. This offers better penetration of the solder. Tinning a lead with a little solder first is especially important to avoid excess heat and solder runoff on the PCB. Let the joint cool for a few seconds, slip the preinstalled heat shrink tubing over it, and heat it up with a lighter or match. The PCB is a little more delicate. I ran the wires around the plastic peg of the arcade housing to keep the wire stable. Again I pre tinned the wire with a little solder and then remelted the wire end onto the solder pad. Look at the Yellow Test Clips in the first pic above for the exact position. TOGGLE SWITCH - Red wire is the center of attention coming from the ZR Pushbutton. The Toggle Switch divides between the white to original blue ZR Button wires on the left or new grey wires to the Select Stick PCB on the right. The game I had in mind for the Mod. It can already be played with the small Analog Sticks of a regular Classic Controller, but I wanted Arcade style play with a ball Stick. I already achieved a complete Dual Stick Robotron Arcade gameplay by modding a Blaze Twin Shock. I wanted to see how the game works with a Select mode of a single stick. I set the Select to the Right Analog Stick. The Arcade Stick shoots anywhere I point the Stick. To move I hold the newly designated Select Push Button which is the ZR White Lower Button. Instantly, the mode is changed from fire to move. This adds a new strategy element to the game, also making it harder. No longer can I shoot in one direction and move in another at the same time, now I have to decide the best survival choice. Twinstick is easier but this offers a new form of game play. The Tatsunko vs Capcom Stick already supports Classic Controller and Classic Controller Pro games that use only one direction control such as Rayman Origins. This mod adds a quick in game select of either Analog Stick. Analog Stick or DPad selection, and the affect of pressing the ZR button. I'm not done yet. I'm looking at the feasibility of tying in a Wii Remote to support the Rotated Remote Sideways of Classic NES Control GamePad. More Toggle Switches will be needed to maintain both Classic Control and NES Gamepad support. Maybe two switches each with four poles should do. 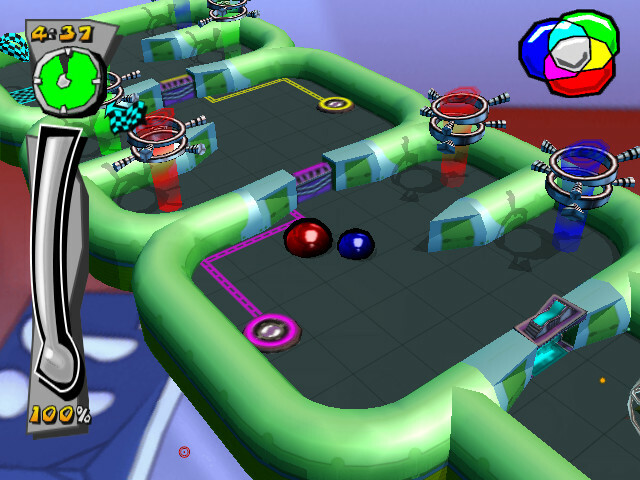 A game that plays like Marble Madness and Super Monkey Ball. Instead of moving a ball, a blob of mercury is coaxed around a track. The liquid metal can more easily drip off or separate going around obstacles, but this instills challenges into the game. I also have the PS2 version, both Wii and the PS2 have similar levels. Hey, this game is a lot more forgiving! Instead of a ball, a blob of Merury is controlled in the same fashion. What is nice is you have more time to recover since only part of the mercury glob drops off. This adds a new type of gameplay. You can separate the Mercury into different blobs to get hit by different paint booths. For instance a Blue Mercury is needed to open a blue door. Then there is remixing of different painted mercury blobs to form a new color. All this is done while tilting the platform and trying to keep the colored blobs separated. Note the Color Guide on the top right, mix the blobs to get new colors. Later levels add new obstacles and tracks. Ride the chutes vertically, guide the mercury onto the "Arrow Escalator", then be lifted to the next section. There is a Tutorial Level that gives a taste of the different things you encounter including ramps, sticky floors, splitters, paint booths, heat pads, ice pads and various enemies. 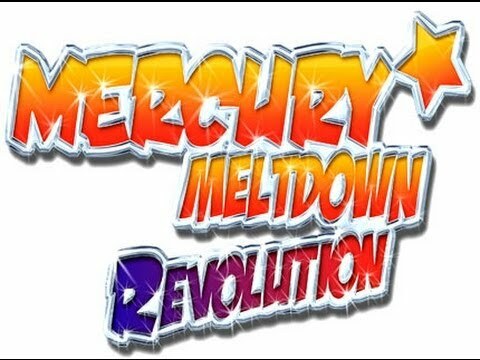 What makes Wii Mecury Meltdown Revolution stand out are the different control options, even an unforeseen capability of using different Arcade Sticks thru simple mods. The game can be played with either the Remote or Classic Controls. In addition to the Remote and Classic controls, Mercury Meltdown Revolution can also be played with an Arcade Stick with the right adaptors and Mod. I also own PS2 Mercury Meltdown Remix which would not with my Blaze Twin Shock digital sticks. The Blaze Twin Shock is modded to allow the second stick to operate as Player One Face Buttons. Connected to the Wii via a Mayflash adapter I gained another Wii game that is Twinstick heaven. Move with the Left Stick and look around with the Right Stick. My earlier mod on the TVCF Stick is starting to show its capability. Here is another game that now works with the Tatsunko Capcom Stick. The Mercury is controlled by the Stick when set to DPad. The Camera can now be used by selecting Right Analog and moving the Arcade Stick Control. To move the Mercury hold the modded button and move the Arcade Stick.